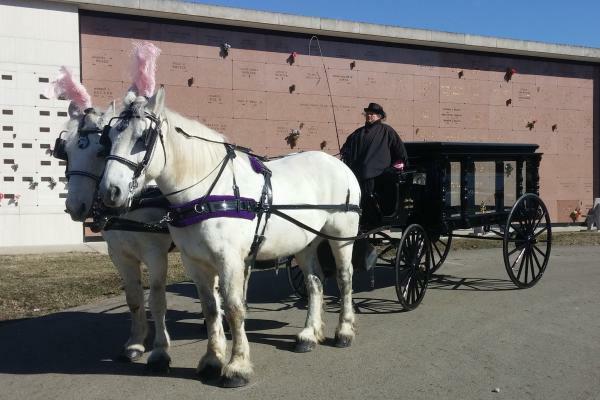 The "last mile" should be traveled as a tribute to, and in honor of the life of your loved one. 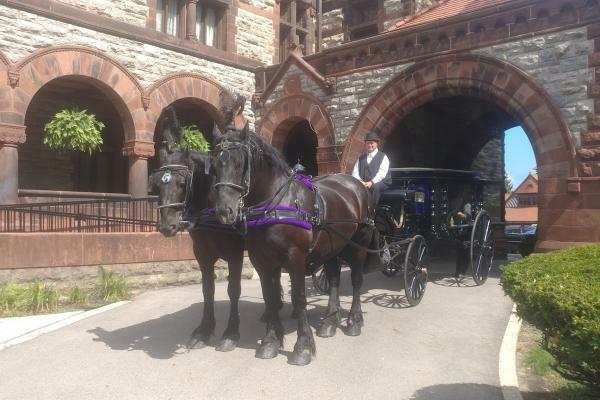 The meticulously and elegantly appointed Victorian style hearse is of recent manufacture but is built in the same style as the hearses used for centuries for distinguished and prominent people. 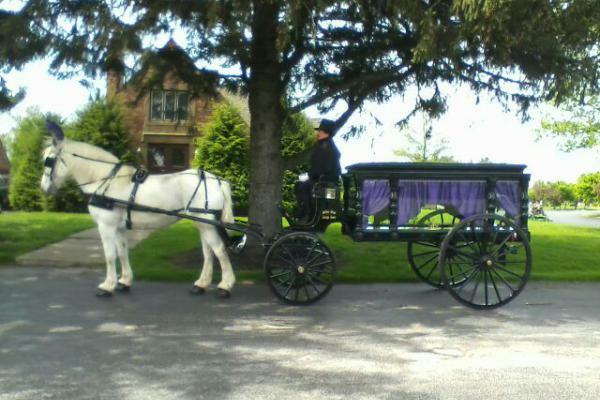 The staff will be appointed in vintage style clothing to further honor your loved one. The family is given the choice of royal purple, black curtains or no curtains. 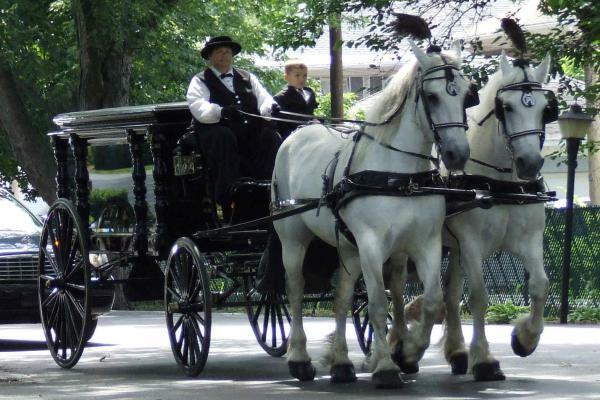 Most families prefer to use the hearse from the entrance of the cemetery to the chapel and/or to the grave side service. 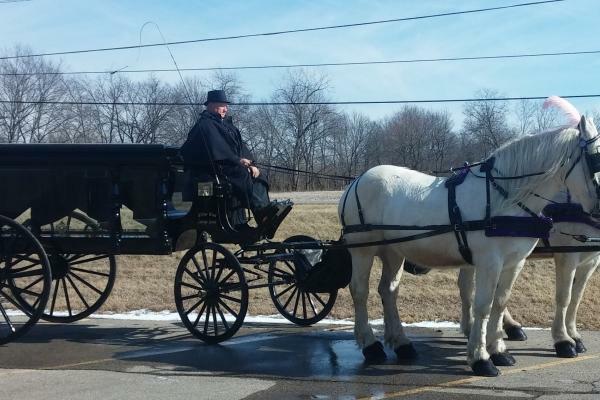 Depending on the distance to be traveled, the hearse could also be used for transportation from the church or the funeral home to the cemetery. 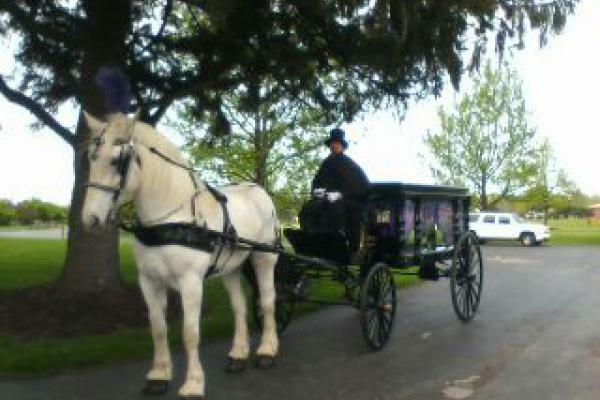 Family members can walk behind the regal and slow procession with the horses and the hearse. 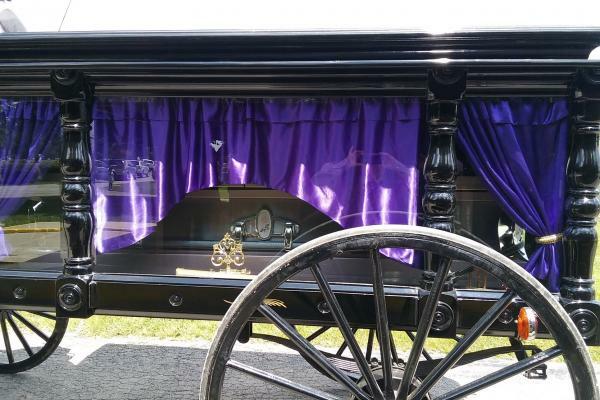 This allows for reflection and time to contemplate your final farewell to your loved one. 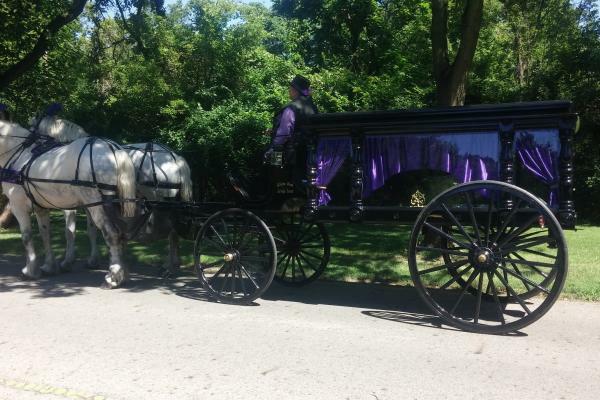 If desired, various other carriages are available to transport family members during the procession as well. 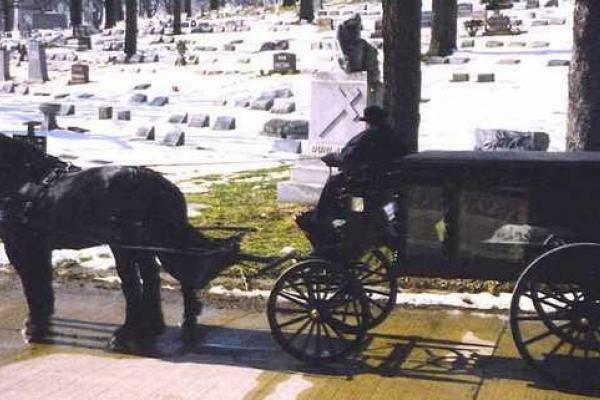 The Wagonette carriage can be used as a flower wagon and to transport the pall bearers in front of or behind the hearse. 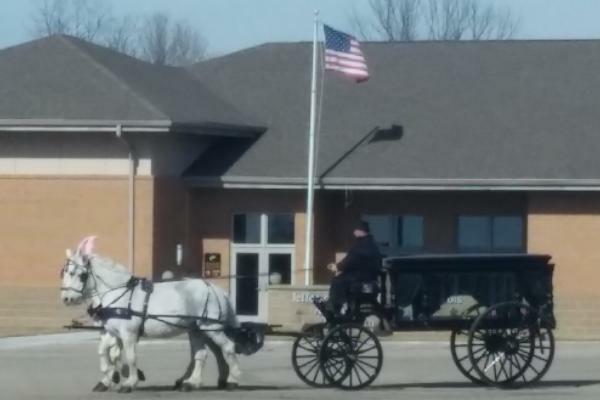 For a funeral with miltary honors, we can also provide a riderless horse for the ceremony. 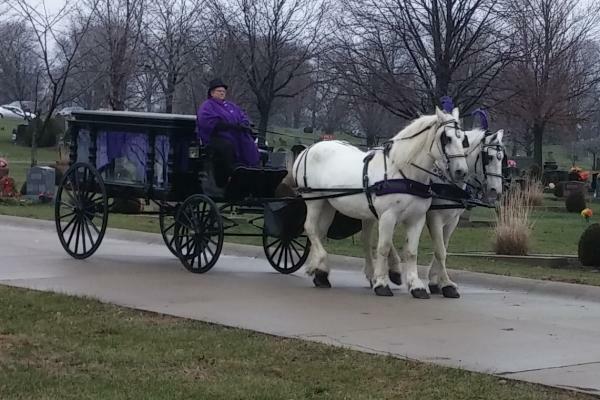 The hearse will be pulled by either a single horse or a team. 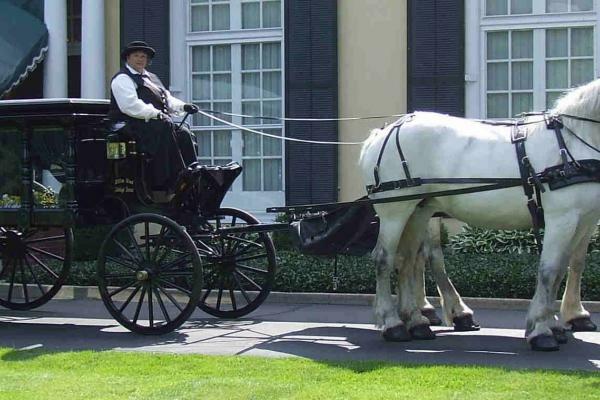 Both black and gray (white) horses are available as a single or as a team. 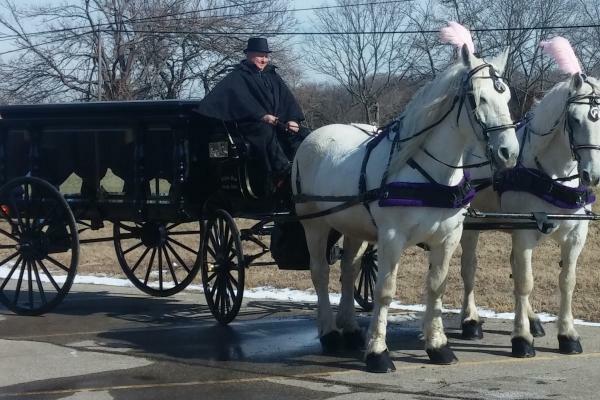 The hearse is also available for parades.